Jamaican Dancehall sensation Clifford Smith AKA Mr. Vegas, with mega hits Heads High, I Am Blessed and Do You Know, is the second Jamaican Artists to be banned from performing in Grenada by the 19-month old NDC administration, in less than a year. The popular entertainer was scheduled to perform in Grenada for the first time in just under two years at the popular Karma night club in St. Georges Grenada, on Sat Feb 27th 2010. According to the promoter of the event Steve Duncan, this one came as a shock. No specific reasons were given by the Ministry of Labour for the refusal of the work permits. Inside sources has hinted that the refusal may have been as a result of one particular song from the Artists which contains derogatory remarks about women that behave in a negative manner. 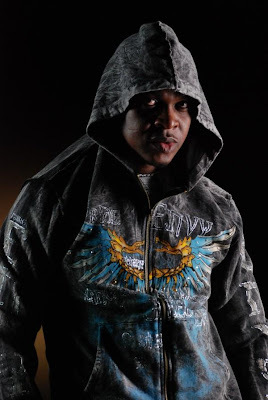 Mr. Vegas has recorded over four popular dancehall/reggae Albums to date. Duncan also stated that over $30,000.00 was already invested in bookings and promotions for the event, and that no indication of a problem was hinted when the application for the work permit was made some four weeks ago. When asked about how this development was going to impact on his business in these difficult times, his response was simply “devastating”. “If this Government is placing a ban on a particular number of Caribbean Artists, then that should be public knowledge and should be brought to the attention of the promoters when the application for the work permit is made, says Duncan, one of Grenada’s most popular event promoters and owner of the Islands largest nightclub, Karma. “I sought to get an explanation from the Minister of Labour, Honorable Carl Hood, and to explain my plight, only to have the phone hung up on me. This is not the first time that this has happened”. Just recently a similar complaint was given by manager of a local night club in the south of the island. Minister for Labour, Hon Karl Hood says the Government of Grenada has not banned any regional artiste from performing in Grenada. Minister Hood said his ministry has no difficulties with regional performers displaying their expertise and talents in Grenada. However, he says, his ministry has attempted to ensure that proper procedures are followed by promoters wanting work permits for artistes booked to hold concerts in Grenada. “The issue has nothing to do with Mr. Vegas as an artiste. Our Ministry met with the promoters and agreed to the procedures for performers to receive work permits. These procedures are designed to give the Ministry the requisite time to vet the requests and allow the promoter time to advertise his event,” Minister Hood said. He noted that some promoters have not adhered to the rules and have continued with last minute requests for work permits, even though they signed contracts with the artistes and have been advertising their events for months. He said the procedures call for promoters to contact the Ministry of Labour for work permits once they agree to a contract with an artiste to perform in Grenada.